How Are Highlights Done in a Salon? Add highlights to your hair extensions for a fun look. 3 How Are Highlights Done in a Salon? Weaves are a popular method of adding length or thickness to your hair. Women of all races and hair textures can wear weaves and use hair that comes in different textures and lengths. Weaves created using human hair can be dyed and are optimal for creating a more natural looking weave. If you want to add highlights to your weave, you can do so using different techniques. Hairdressers can weave your hair using a variety of methods. The most common method is to braid your natural hair into a circle and sew the weave hair into the braids. The braids are called "tracks" and the hairdresser sews what is called a "weft" into each track. A hairdresser may leave your natural hair out in the front or sides to cover the tops and sides of your tracks so that others cannot see them. Alternately, a hair dresser may partially weave your hair and braid four to five rows of tracks across your head starting from the bottom and moving upwards. You can also glue weave hair onto your scalp by parting straight rows and gluing the weft directly to your scalp. This method is often used for temporary weaves, as the glue may only last a few days. There are several different types of highlights, which are forms of hair dying that can be done to your natural hair or weave hair. Chunks are types of highlights that add thicker streaks of color to the hair. While they may be more suitable for dark hair, they can also be used to add bright or bold color to any hair color. Baylage highlights, on the other hand, or used for a more natural look and are made to look as if they are a part of a person's natural hair color. Lastly, lowlights add darker streaks of color to a person's hair. 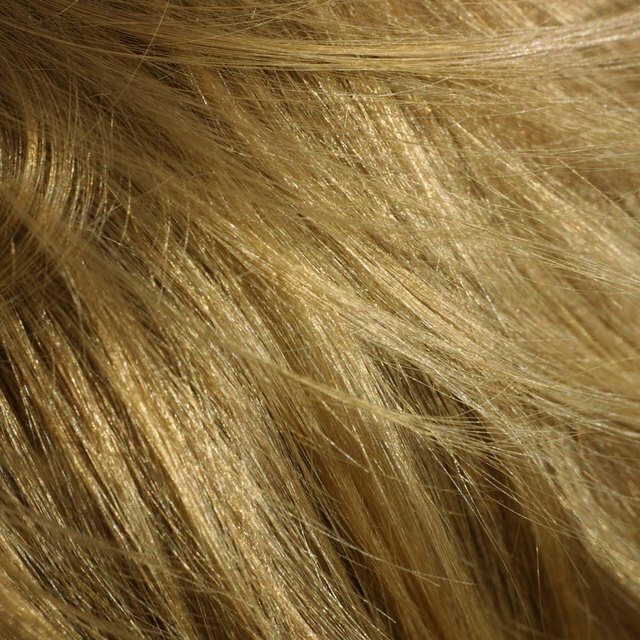 Lowlights may be one or two shades darker than a person's natural hair color. If you want to add highlights to your hair without dying your own hair, you can use full or partial weaves to achieve this look. If you wish to use a full weave, have a hairdresser highlight the hair she sews it into your hair. If you want to add highlights using a partial weave, choose hair that is one or two shades darker or lighter than your natural color. This will create the impression that you have highlights throughout your hair. Also use human hair when dying weave hair, as synthetic hair may not dye properly. If you choose to dye your own hair, be sure to moisturize it and trim your ends to prevent damage. Lastly, you can use over-the-counter highlighting systems, though a professional may ensure your look comes out as you want it.